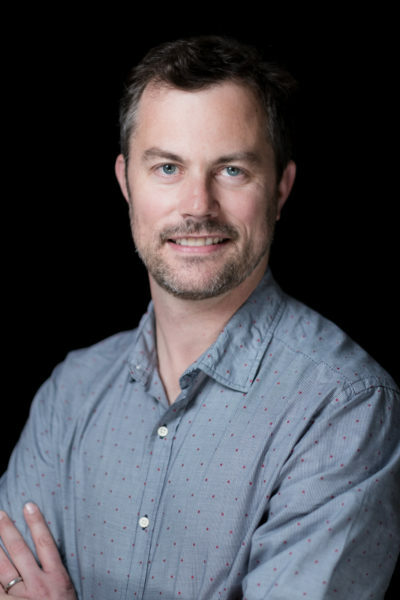 Bill Earner is the Co-Founder and Managing Partner of Connect Ventures, a venture capital firm based in London, UK. Connect Ventures invests in early stage businesses throughout Europe, especially those operating in mobile, internet, and digital media sectors. It also makes follow on investments through later stages of financing. Bill has spent twelve years working in venture capital and startups. He’s specialized in early stage technology startups, and has extensive experience in marketing, product management and engineering roles. He holds an MBA from the London Business School and a B.S. in Electrical Engineering from Harvey Mudd College in Claremont, California. Keep on reading and you’ll find out more about Bill’s favorite books, the ones he’d recommend to those working in the startups business, and his go-to sources for what books to read next! Estimated reading time for this interview is 7 minutes. If you'd rather listen to it, you can do it on iTunes, Google Play or Stitcher. My favorite book is The Making of the Atomic Bomb by Richard Rhodes. It’s a book that covers a vast range of topics over a fifty year period. It talks about the scientific advances that led to the bomb, the personalities that made those advances, and at the same time covers the political choices and escalation of violence over the course of the first half of the 20th Century that paint the use of the atomic bomb on Japan as an almost inevitable conclusion of that escalation. The prose is as incredible as the story. It’s really a treat to read. If you want a business book I’d pick Certain to Win by Chet Richards. It’s a short but deep book about John Boyd and his strategies, the most famous of which is the OODA loop. Probably all the time but to be honest I don’t have on incident that stands out in a memorable way. Probably novels. My favorites are 100 Years of Solitude, All the King’s Men, The Last Samurai, and Fear and Loathing in Las Vegas. The Innovator’s Dilemma by Clayton Christensen in order to understand what disruptive innovation really means. Zero to One by Peter Thiel to understand power laws and why they apply to startups and startup investing. Antifragile by Nassim Taleb to understand the underlying dynamics that successful startups exploit. The Startup Owner’s Manual by Steve Blank is a more full on version of The Lean Startup and is a real how to manual for customer development. I read constantly. I commute by subway to work every day so I have an hour or so a day to read without distraction. I also travel a lot for work so will read en route. I also end up reading a bit every morning at breakfast and at night before I go to bed. I do most of my reading on my iPad. Not necessarily because I prefer electronic books but just because it’s convenient. The best way to make time for reading is to make it a priority. If you like to read and care about it you’ll find the time. If you view reading as a chore then you probably won’t. I wish I did. I’ve got a pretty good memory but that’s not the best solution. A combination of a giant backlog accumulated over the years, the social media hive mind, and whatever current topics are interesting to me. Jason Kottke at kottke.org and Tyler Cowen at the blog Marginal Revolution are both pretty good sources. As is Patrick Collison the founder of Stripe. And the FT does a good summer-reads and end-of-year best-of list. I’m currently reading Fire and Fury by Michael Wolff and The Four Pillars of Investing by William Bernstein. The former is just (depressing) entertainment and the latter is about personal finance. I’m not sure I’m looking to gain anything from either though Four Pillars has a good methodology for thinking about how to save and invest personally so definitely useful.